Six slippery snakes sailed southward on a silver ship to Sydney. 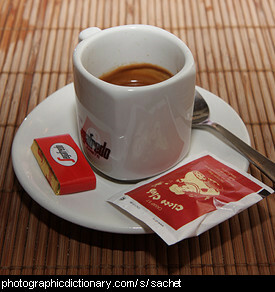 A sachet is a small bag, usually used to store potpourri or small amounts of condiments like sugar or coffee. A sack is a type of large bag that is used to store things in. 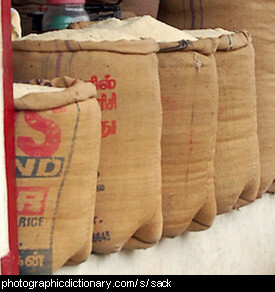 Sacks are most commonly used to store foods like rice and other grains, flour, and potatoes. 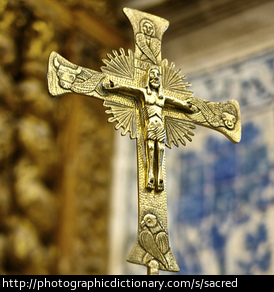 Sacred is a religious word that describes a place or an object that is holy or blessed. When you are sad, you are gloomy and don't smile. Sometimes you cry when you are sad. People get sad when someone they like goes away, or if they watch a sad movie or read a sad book. 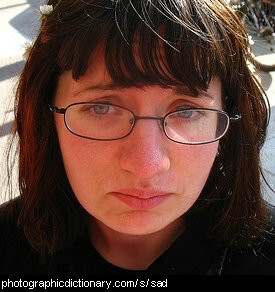 The person in the picture is sad. 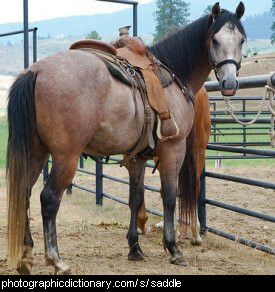 A saddle is a padded seat that you put on the back of a horse so they are more comfortable to sit on when you ride them for long distances. 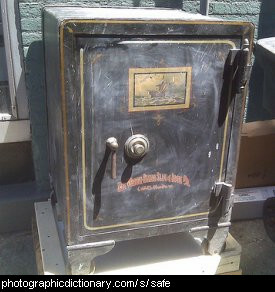 A safe is a very strong metal box with a locked door. People use safes to store valuables like jewellery and money, or anything else they do not want other people to steal. A safety pin is a type of pin that has an extra loop of wire that covers the sharp end of the pin as well as stopping it from slipping out. 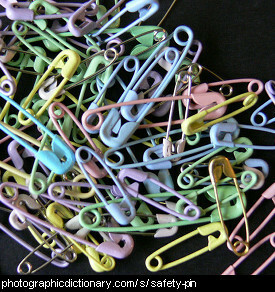 Safety pins are often used to hold diapers or nappies together, or replace a missing button on your clothes until it is mended. 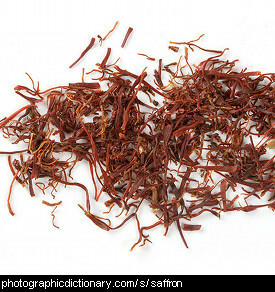 Saffron is a spice made from the dried stigma of the saffron crocus. Saffron gives a strong golden yellow color to food. 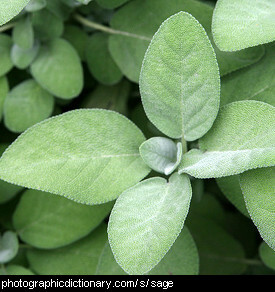 Sage is a shrub originally from the Mediterranean region. It has pale greyish furry leaves, and grows all year around. 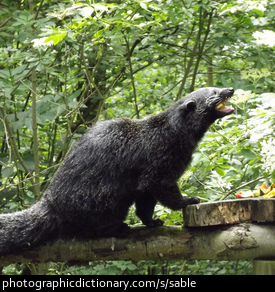 Is used to flavour fatty meat dishes, and as an ingredient in sausages in some countries. It is very commonly used with onions as stuffing for chicken or pork.